A simple way to wrap your earphone , small cables etc, Make it organize before put in the bag . For protect your earphone from damage . It make from Unique genuine leather mixed color . 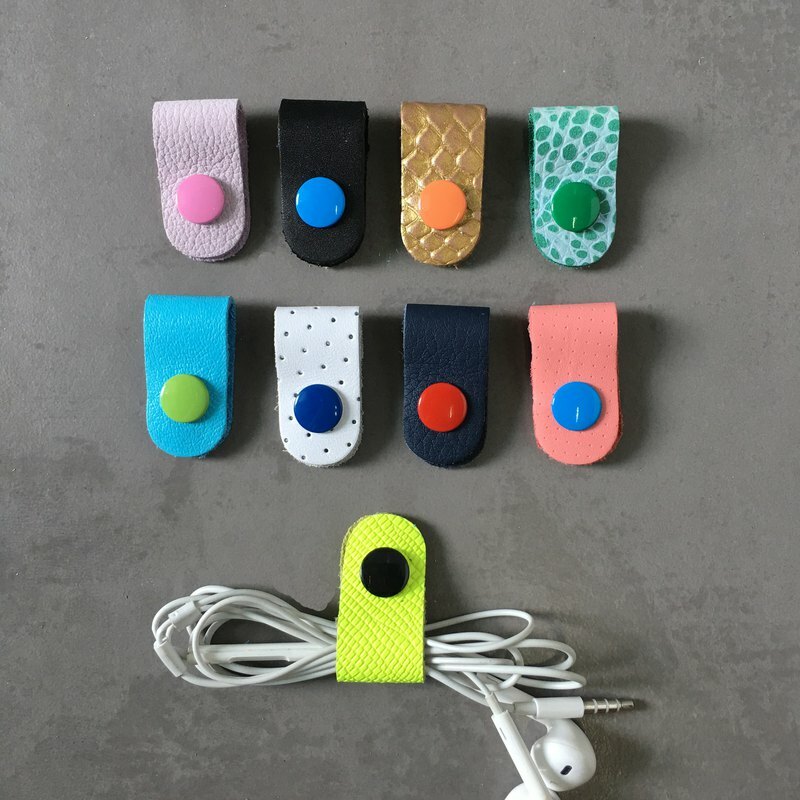 Design simple but look adorable This listing you will get 9 cable organizers mixed color , They close with a Colorful metal snap button. Material: genuine leather , cow leather it is souvenir for your friend , father , mother or everyone who love the music.